Alert! Company Pictures in London has acquired the TV rights to Sarah Lotz’s upcoming novel The Three and the sequel, Day Four. Kate Sinclair will be executive producer and Lotz will be a consultant in turning the two books into TV mini-series. Lotz signed a six-figure book deal for the two books with Hodder & Stoughton ahead of last year’s Frankfurt Book Fair. She is the author of Tooth and Nailed, Pompidou Posse and Exhibit A as well as several other books written with her daughter Savannah, under the name Lily Herne, and with Louis Greenberg as SL Grey. After intense interest from film and TV companies internationally, TV rights in Sarah Lotz’s novel THE THREE have been optioned to Company Pictures in London. 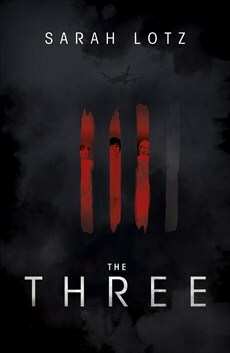 THE THREE was one of the big books of the 2012 Frankfurt Book Fair, following Oli Munson’s (A.M. Heath) sale of world rights to Hodder for an enlivening sum. The title has now been licensed to publishers in 21 territories. THE THREE will be published next year by Hodder in the UK and by Little Brown in the US. Sarah delivers DAY FOUR, the sequel, in 2014. Company Pictures will adapt THE THREE and its sequel as a sequence of event TV mini-series for international co-production. Kate Sinclair, who discovered the books for Company, will Executive Produce, and Sarah Lotz will act as a Consultant. The deal was negotiated by Conrad Williams at Blake Friedmann Literary Agency, and Mark Pybus at Company on behalf of John Yorke. Sarah Lotz is British-born and lives in Cape Town. Her DEADLANDS YA series (written under the name Lily Herne) is published by Corsair. She also writes urban horror novels with Louis Greenberg under the name S.L Grey. S.L Grey’s fourth title, UNDERGROUND, will be published by Pan Macmillan in 2015.